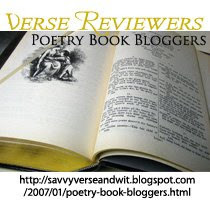 Don’t forget about the Verse Reviewers link I’m creating here on Savvy Verse & Wit. Let me know your thoughts, ideas, feelings, impressions. Let’s have a great discussion…pick a line, pick an image, pick a sentence.